Necrotic enteritis, a Mycoplasma outbreak and Salmonella all feature in this monthly Disease Surveillance Report from the UK's Animal and Plant Health Agency, which looks back at diseases reported in April 2015. Necrotic enteritis: Dehydration and occasional necrotic enteritis associated with coccidiosis and immune-depression were seen in two submissions of 32- and 35-day-old commercial layer pullets with a history of increased mortality. Postmortem examination revealed moderately dehydrated and uneven carcases, some of which showed multiple, small foci of mucosal necrosis and pseudomembrane formation in the lower small intestine associated with coccidial infection. Histological examination of the intestinal mucosa confirmed focal areas of acute necrosis with numerous rod shaped bacteria and abundant coccidial forms. Examination of bursa and spleen tissue also revealed a subacute bursitis and splenic lymphocyte depletion suggestive of a primary infectious bursal disease virus (IBDV) challenge most likely predisposing to secondary infections. Necrotic enteritis is relatively uncommon in young layer flocks but was likely to have been consequential to the immunosuppressive effects of IBDV. 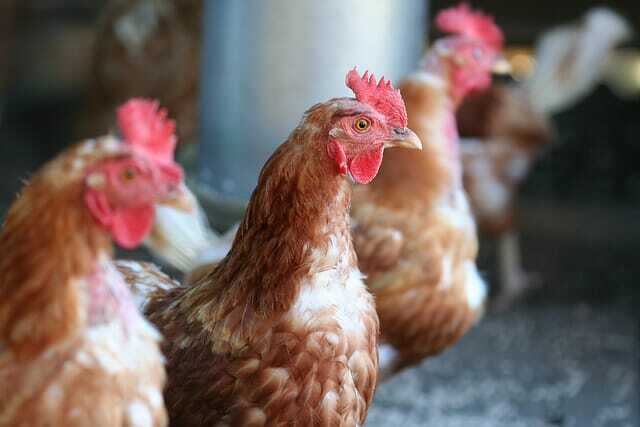 Mycoplasma gallisepticum infection: Three point-of-lay pullets were submitted to investigate respiratory disease and high mortality in a group of 410 recently purchased birds, of which approximately a third had died. Suspicion of notifiable disease had been reported prior to the submission of the birds but had been negated. At postmortem examination all three birds showed evidence of upper respiratory tract disease, including sinusitis and one bird showed evidence of pneumonic changes. Both Mycoplasma gallisepticum and M. pullorum were detected in lung tissue, the former being a significant cause of chronic respiratory disease in chickens and likely to have accounted for the signs reported. No other specific respiratory pathogens were detected. Pullorum disease: Salmonella Pullorum was identified from cultures that were submitted for identification. The cultures were isolated from the livers from young chickens (10- to 12-day-old) with a history of sudden deaths and/or wasting. This Salmonella causes a disease that was previously known as bacillary white diarrhoea (BWD) although it is now referred to as Pullorum disease. It is mainly seen in chicks less than three weeks of age and can initially be seen as excessive numbers of dead-in-shell chicks or death shortly after hatching. Affected birds show a variety of non-specific signs such as being dull with a tendency to huddle, respiratory distress, lack of appetite and white runny droppings that adhere to the feathers around the vent. Mortality varies considerably and can be up to 100% in extreme cases. 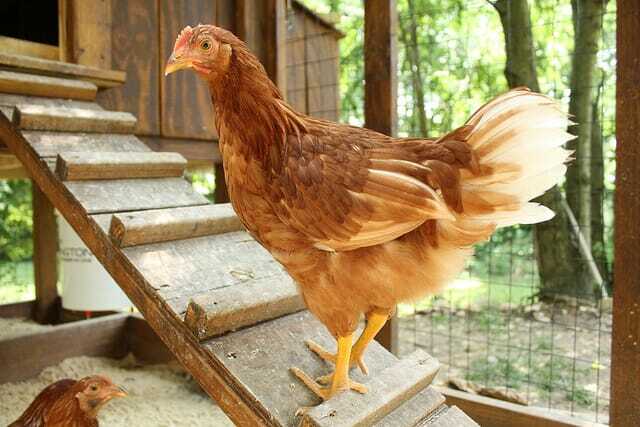 In growing birds, lameness can be seen with swollen hocks causing poor growth rates. The most important route by which Pullorum disease is spread is vertically from an infected parent bird via the ovary to the egg, but the disease can also spread by horizontal contact, for example between infected chicks or pullets. Serological testing can be used to eliminate any affected or carrier birds from Page 11 of 12 the adult population and replacement birds should preferably be purchased from flocks known to be free of the disease but this can be difficult in the small hobby chicken circuit or backyard flocks. Avian Encephalomyelitis: Sudden onset weakness, paresis and tremor affecting two groups of chicks in a backyard flock reared for shows led to the submission of chicks to the University of Bristol aged ten days and three weeks. Paresis was first seen in the older group (at three weeks) but was then noted in the younger chicks too. The diet was changed when the signs were first noted but more birds continued to be affected. Gross postmortem examination was unremarkable but histopathological examination of brain and spinal cord tissue showed non-suppurative encephalomyelitis typical of avian encephalomyelitis virus (AEV). AEV typically causes a range of neurological signs in in chicks up to three weeks of age. The virus can be transmitted both vertically through the egg but horizontal infection can also occur after hatching, and the virus can survive for long periods in the environment. The clinical signs of AEV are rarely seen, at least in the commercial sector, because of widespread vaccination of parent birds and the resultant protection afforded by maternal immunity. Outbreaks of AEV rarely recur in backyard birds unless new, susceptible birds are introduced. You can view the full report, which also covers other farm animals, by clicking here.